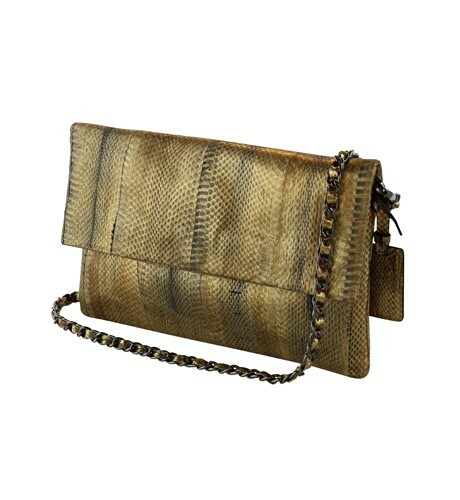 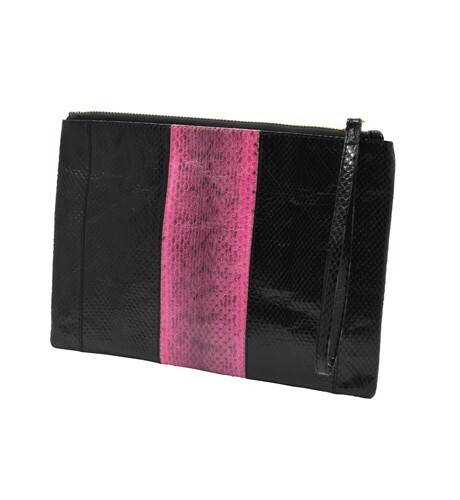 Comes with detachable chain strap for use as clutch or crossbody. 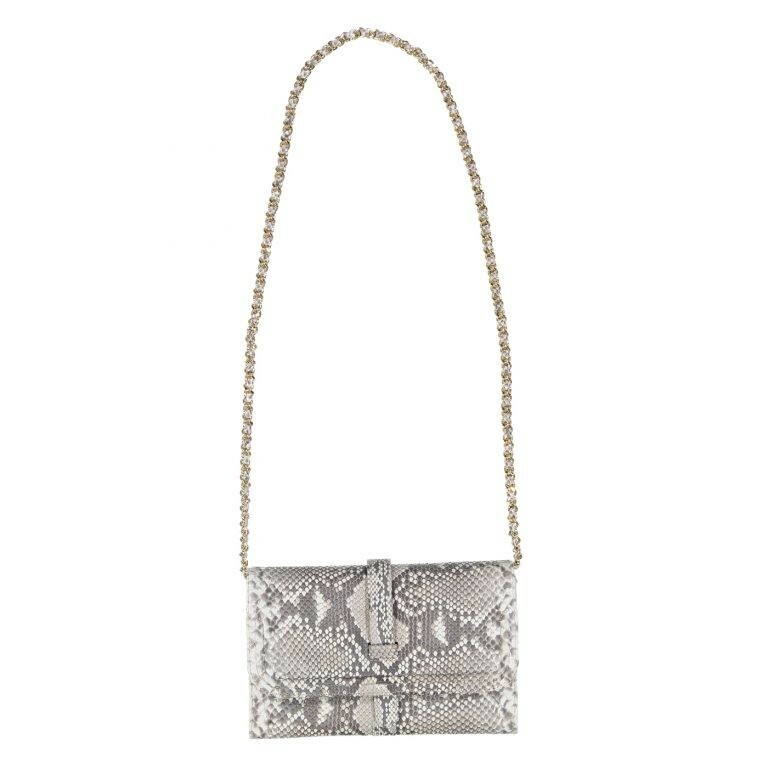 Front flap with strap closure. Interior slot pockets for cards lined in python and suede. 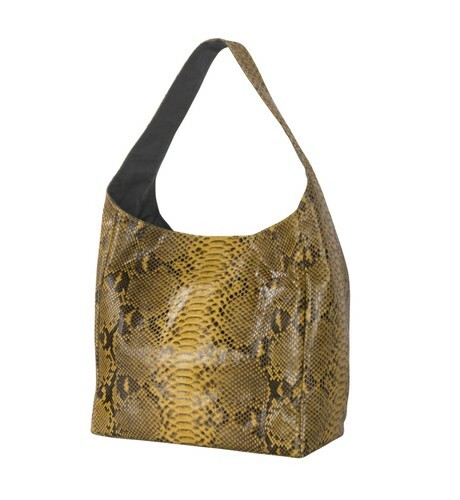 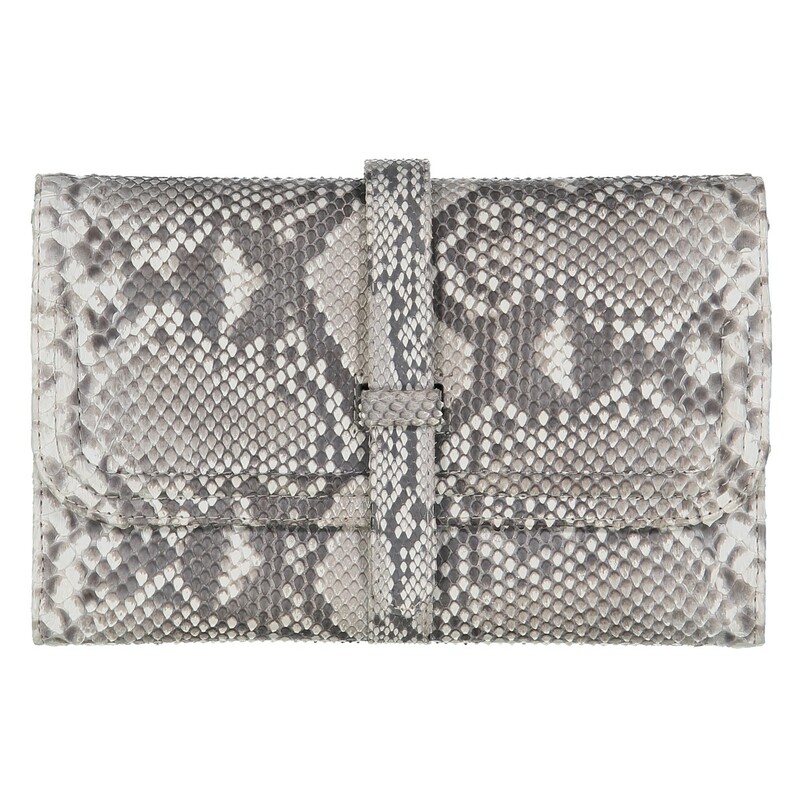 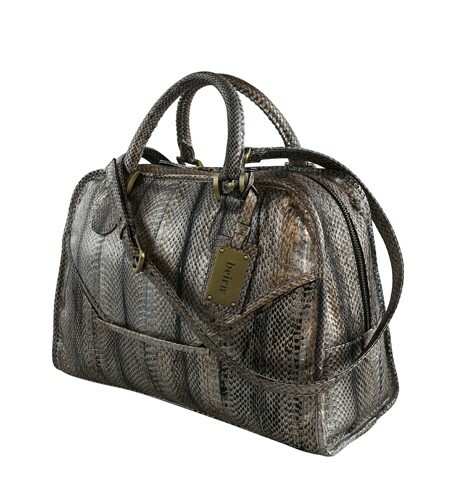 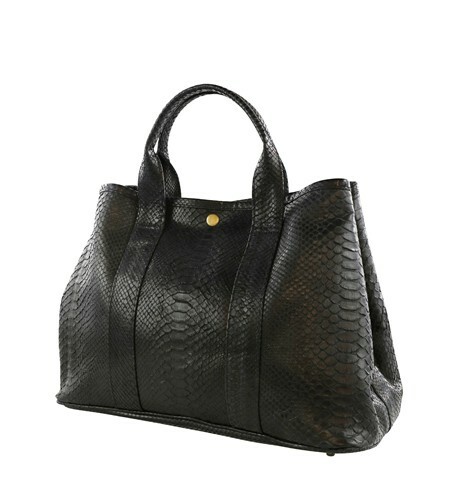 Exterior made of python with suede interior.